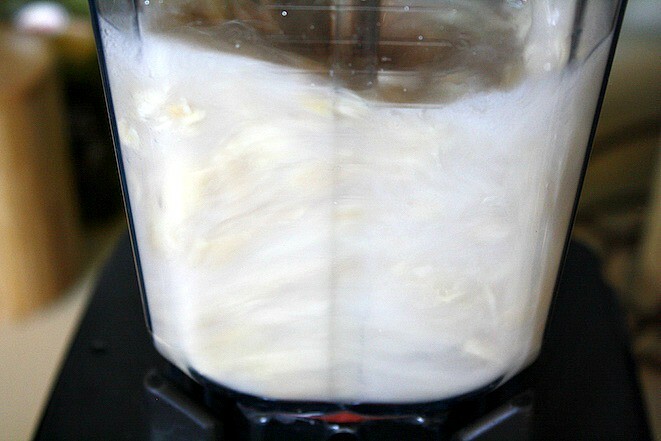 Start off by adding 1 cup of coconut water to your high speed blender, and you can use a food processor as well if you’d rather. 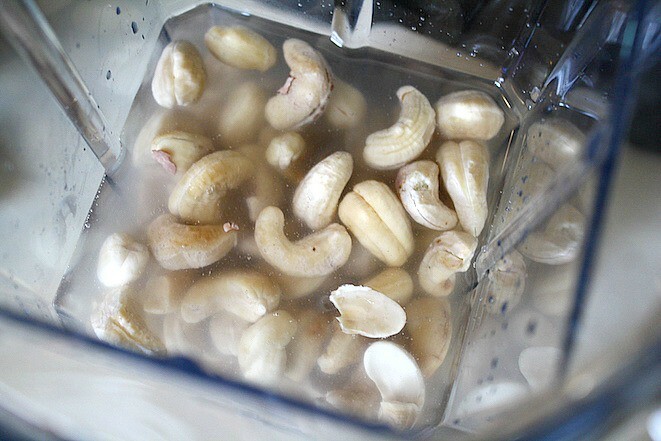 Now add your cashews to the blender, and if you don’t have a high speed blender you can soak your cashews in hot water for 20 minutes. 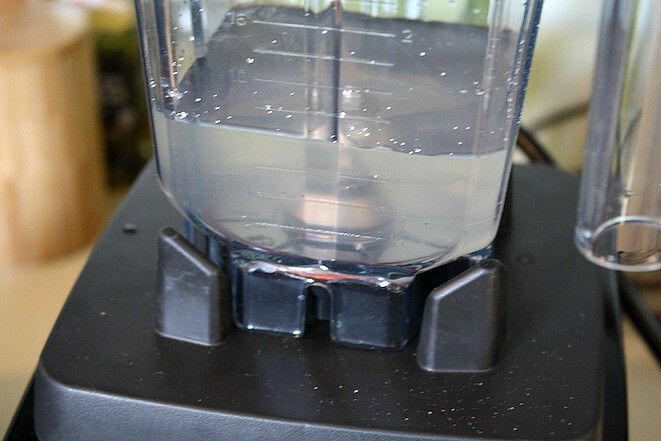 Then rinse and drain them and you’re good to use them as they’re more softened. Toss in 1 garlic clove that has been peeled with the step end cut off, and then add about 2 tablespoons of fresh lemon juice, which will be about 1 lemon juiced. Flip on the blender and start processing, and turn up the speed until the cashews are totally combined. 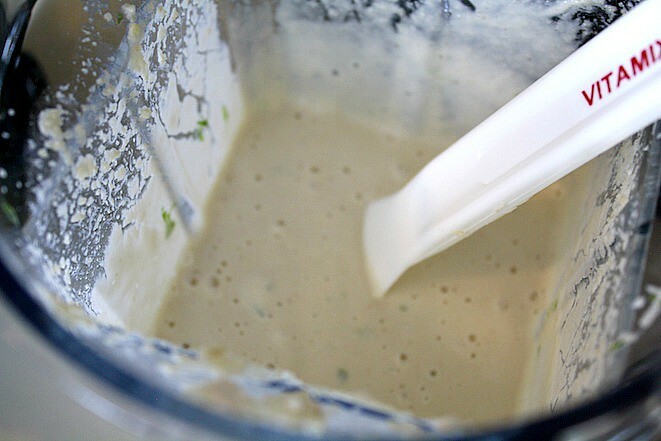 You’ll know you’re done, because the Mexican Lime Crema sauce is completely smooth and thick and creamy. 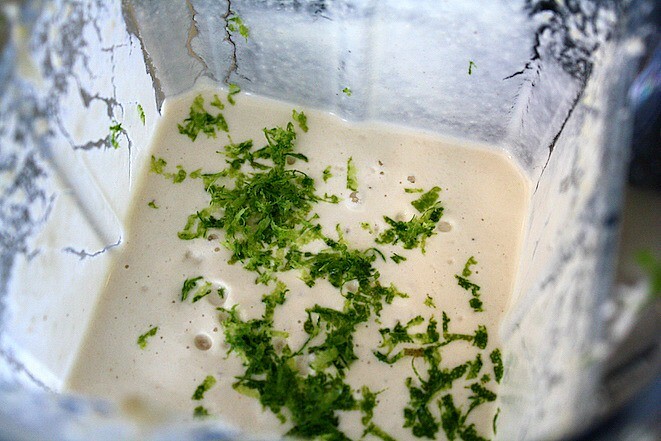 Now we’re going to add the lime to this Mexican Lime Crema recipe by adding the zest of half a lime. Use a spoon or spatula to fold in the zest, and then enjoy it right away or else store the Mexican Lime Crema in a container, cover, and refrigerate. You’ll be enjoying this Mexican Lime Crema on literally everything because it is SO good, so happy crema making!! Dairy free and insanely yummy! This is my new favorite condiment! 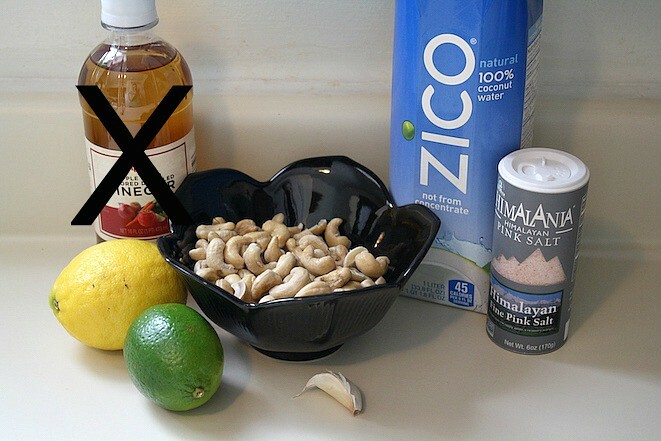 In a blender add the coconut water, cashews, garlic, salt, and lemon juice. 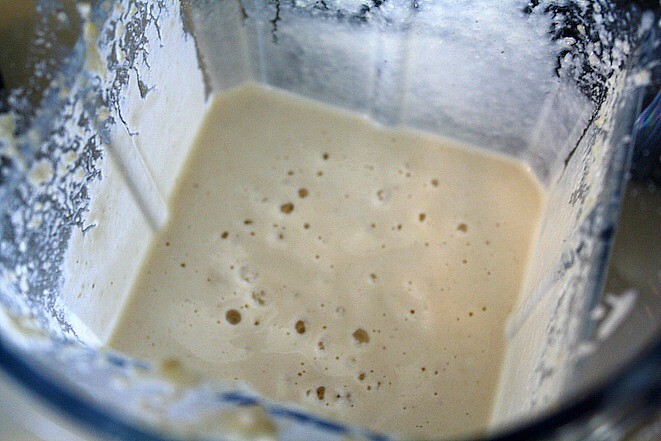 Blend it until it’s thick and creamy and totally smooth. Add the zest of half a lime to the crema and fold it in. Use it right away or pour into a container, cover, and refrigerate. 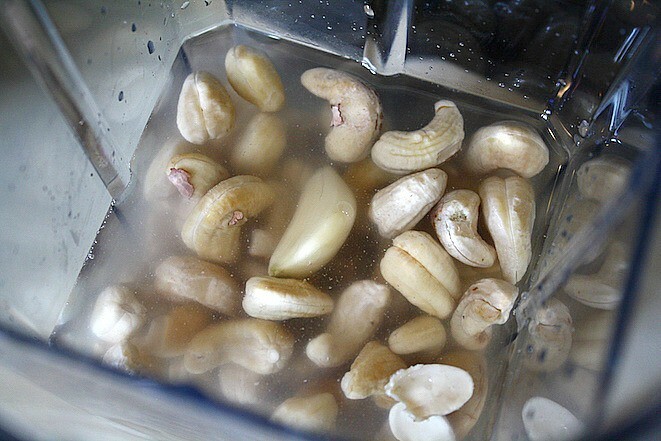 Quick Tip #1 from Ester at Nurture My Gut: If you have a high speed blender, you’re good to use the cashews as is, but to help them break up more easily you can soak them in hot water for 20 minutes, rinse and drain them and you’re good to go! 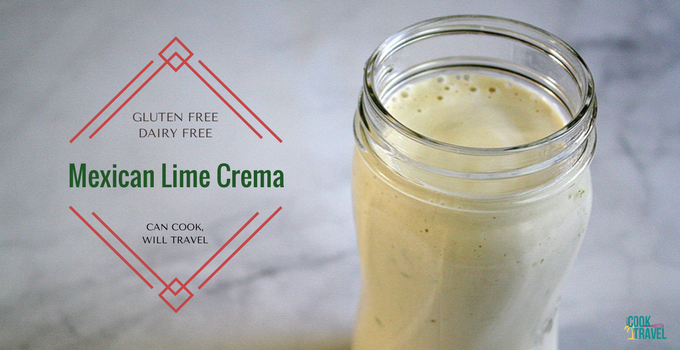 Quick Tip #2: This crema is perfect for saucing up your favorite Mexican meals, adding to roasted veggies, tossing with pasta, using as a salad dressing, and SO much more!